It’s been almost a decade since Windows 7 debuted (July 2009), when it replaced its much-maligned predecessor, Windows Vista. Following its release, Windows 7 quickly became (and remained) incredibly popular for end users at home and across enterprises. In fact, it was so popular that there was a backlash against its successor (Windows 8, October 2012) it took three-and-a-half years for Windows 10 (July 2015) to surpass it in total installs. Despite its continuing popularity, however, Microsoft is reminding everyone still using the operating system (OS) that it’s time to move on. 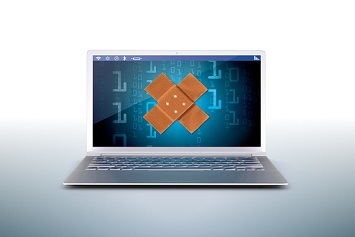 Redmond released a patch earlier this week that features a pop-up window reminding end users that there will be no more security updates for the OS after January 14, 2020. These warnings will start appearing on screens after April 18, 2019. In anticipation of some general foot-dragging, Microsoft has created a program for Enterprise customers allowing them to purchase extended security updates. The program would allow organizations the ability to pay for continued security updates through January 2023. The cost is likely to cause serious sticker shock, though. For organizations with Enterprise license subscriptions the program will cost an additional $25 per device for the first year, which increases to $50 for year two, and $100 for year three. Double the price per device for Windows Pro licenses. Microsoft did try to get end users to switch for years, offering free upgrades to Windows 10, though, those incentives ended in January 2018. This time it’s serious, as running an unsupported operating system will only invite risk and leave your systems open to cyberattack.